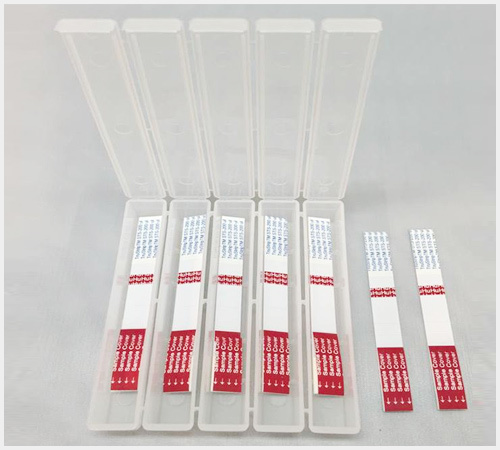 TruStrip™ strips are available in a variety of "sample load volume" sizes to suit the specific sample collection application requirements. Available in sizes of 5, 15, 25, 50, 100, 200 and 400 µl load volume sizes, TruStrip strips are packaged in convenient flip-top containers to permit easy removal of the strips. 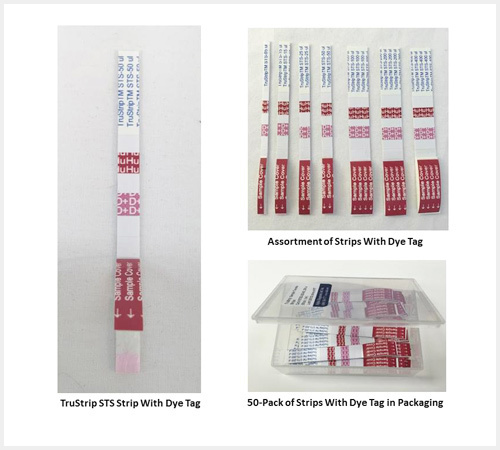 TruStrip strips are available with or without the "tracking dye" stripe - strips containing dye stripe are indicated with a "+D" tag in pink color on the strip. 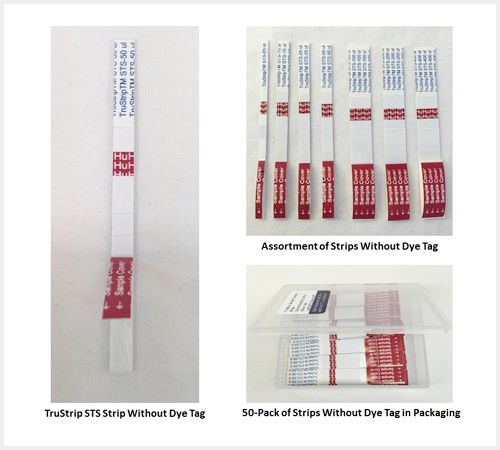 In addition, each TruStrip strip can also be made available with a "species" tag that indicates the species type from which the sample is being collected. The species tag can be selected while placing the order for the item. To order TruStrips™ STS products, please select either NS (No Species tag) or the desired species tag and the order quantity from the drop-down boxes, while placing the order. TruStrip™ STS storage and transportation containers are designed to store and transport strips containing samples. These specially designed containers are very compact in size and therefore, consume minimal storage space. Each container is available as a strip of 5 chambers with individual "snap-close" lids, and each chamber can be individually detached as necessary. The 100 mm wide chamber is suitable for 5, 15, 25 and 50 µl strips, while the 150 mm wide chamber is used with 100, 200 and 400 µl strips. In addition, these containers enable transporting sample containing strips in a very efficient and cost-effective manner as it allows for shipping in ordinary padded envelopes without the need for refrigerated shipping boxes.